10th October is World Mental Health day. We believe in the power of connecting people with each other and with the world around them, which is why getting involved in your local Incredible Edible group can be such an uplifting experience – whether you’re living with a mental health condition or not. So this year we’d like to celebrate World Mental Health Day by showcasing stories from across the Incredible Edible network which demonstrate the power of small actions to make a positive difference in people’s lives. 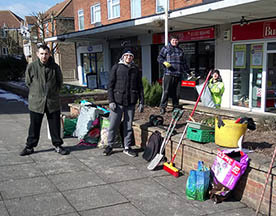 Alfred’s story highlights how the experience of being involved with a group of people doing Incredible things in your local community can have such a positive impact on your mental and physical well-being, and for Alfred it gave an added bonus of developing new skills and a new career. Alfred, who is on the Autistic spectrum, experienced a minor stroke and was signed off work when he started volunteering with Incredible Edible Salford. He’s not a natural gardener, but Alfred can follow instructions and brought his engineering and woodworking skills to create a mud kitchen and various structures around the growing space. Alfred has made some great friends and built his confidence which has helped his recovery from the stroke, ‘Being part of Incredible Edible Salford has been a great way to recuperate – I would recommend it to anyone’. 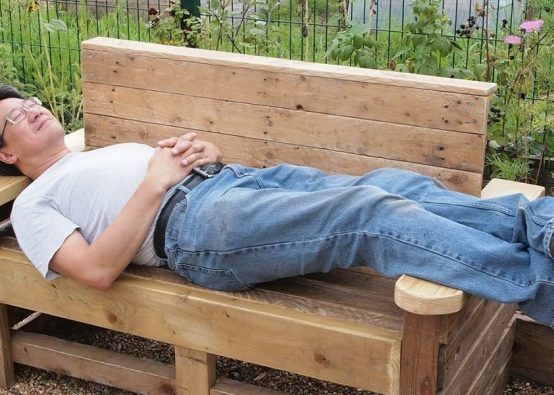 Volunteering your time isn’t just a one-way process, using his skills in a different way has allowed Alfred to develop a new business making things with wood, including installing planters across the Eccles and Salford areas. Alfred’s life has changed drastically since before his stroke, he feels he’s leading a great life now, with less stress and better working hours, as well as having lots of fun! You can hear Alfred’s story in his own words by watching this video from Incredible Edible Salford – Alfred starts talking at 5 mins 15 secs. Incredible Edible believes in the power of being involved in kind, confident and connected communities. 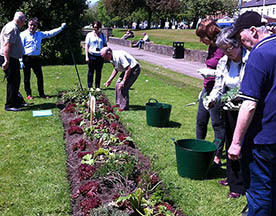 Incredible Edible groups give people an opportunity to get involved in their local community, meet new people and create positive outcomes – be they growing, sharing learning or championing local businesses. Kindness is key to being Incredible, showing kindness to each other and to our environment. Getting involved in your local Incredible Edible group will make a difference to how you feel about your world, so if you’re having a tough time, find your local group and become part of a worldwide movement of people creating Incredible things in local communities. If being involved in your local Incredible Edible group has made a positive change to your mental health, and if you’re happy to share your story, then we’d love to hear from you, so get in touch.